China’s first nickel futures contract is expected to be launched on Shanghai Futures Exchange (SHFE) on Mar. 27, local media reported. So far, no approval has been received from China’s State Council and Securities and Futures Commission. SHFE began to solicit public opinion on draft regulations of nickel futures contract earlier this year. In accordance with the proposed draft, nickel futures contract will be traded in unit of 1 ton/lot with trading code NI. The daily price limit will be ±4%, with minimum transaction margin 5% of contract value trading. As expected, Finance Minister Arun Jaitley has proposed to bring the commodity futures market and the securities market under a single regulator. BusinessLine reported on February 16 that the Budget may announce SEBI-FMC merger. “The proposed merger would help streamline the monitoring of commodity futures trading and curb wild speculation,” the FM said in his speech. As the proposed changes are in the Finance Bill itself, the merger can happen when the Bill is passed and take effect as early as May. “A separate Bill would have faced the risk of going to Standing Committee with consequent delays,” said an official, on condition of anonymity. The proposal is likely to bring convergence in the regulation of various financial markets such as securities, currency derivatives and commodities, facilitating tracking of money flows into these markets in addition to opening the door for launching new instruments in the commodity derivatives market. For brokers substantial savings in costs are anticipated as separate setups for regulatory compliance may not be required, according to Geofin Comtrade Ltd, a trade intermediary. Sanjay Kaul, MD & CEO, National Collateral Management Services, perceives the merger proposal as a game-changer for the commodity market as the step will lead to improved credibility, transparency and regulation. While equities are an established asset class for investment, commodity futures market came into prominence as a tool for hedging the price risks that the underlying commodity often faces. Therefore, there is a basic difference in the participants’ approach to the two markets. In recent times, commodities too have emerged as an asset class. However, the flow of speculative capital for investment in sensitive commodities (such as essential food items) has the potential to fan inflationary tendencies. A question that has bugged market participants is whether the merged entity will have sufficient bandwidth in terms of domain expertise, infrastructure and manpower to regulate the two markets that are seemingly similar but structurally different. Delivery of goods is one such issue. Under Indian conditions, a sizeable number of market participants give or take delivery of the underlying physical commodity through exchanges. Regulatory intervention becomes necessary on occasions, something the securities market rarely faces. In addition to unification of regulators for a more effective oversight, there seems to be an unstated intention to regain market confidence that was lost following the 2013 NSEL payment crisis that worsened because of a regulatory vacuum. 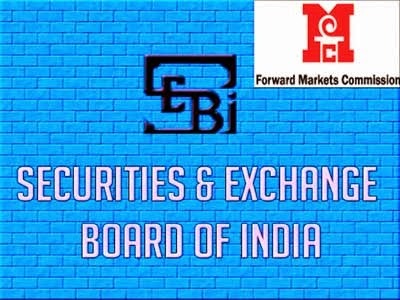 The merger of Forward Markets Commission, the commodity markets regulator with SEBI, the securities market regulator, is in keeping with the recommendation of the Financial Sector Legislative Reforms Commission headed by former Justice BN Srikrishna which called for a Unified Financial Agency in lieu of multiple regulators in the financial sector. A single entity as regulator is expected to be able to regulate the two markets more effectively. The process of unification of the two regulators is likely to be in a phased manner as there are challenges to be met. While the trading systems in the two markets – commodities and equities – are similar (Online trading), there are fundamental differences between commodity and equity markets in terms of market structure, participation, impact, delivery systems and so on. The ₹5,600-crore payment crisis that led to the collapse of the country’s single largest commodity spot exchange- National Spot Exchange Limited (NSEL) has resulted in the government making earnest efforts to bring the regulation of the commodities markets under the Securities Exchange Board of India. FMC, which was earlier under the Consumer Affairs Ministry, was brought under the Finance Ministry in September 2013 as investigations in to the NSEL scam began. Volumes in commodity exchanges stumbled after the NSEL fiasco. In 2013-14, the total commodity futures market turnover was down by 40 per cent. During April-December period of the current fiscal, the situation is not any better. Though the commodities transaction tax and the correction in global commodities market are partly responsible for this, the impact of NSEL’s fallout can’t be overlooked. Samir Shah, MD and CEO of NCDEX, told BusinessLine, “One incident like NSEL is a big blow on the market and market gets shattered, NSEL impacted NCDEX more than MCX, because it happened in the agriculture sector.” The blind spots in commodities market regulation came to light only after the NSEL scam – non-existence of settlement guarantee fund, no checks to spot short trades, poor margining system, inadequate collateral for trades and no regulator willing to take the onus of regulating the spot commodities market. SEBI’s autonomous functioning and its ability to respond quickly to a crisis should instil confidence in commodity investors. With its powers to attach properties, arrest and detain defaulters in prison, this regulator will be able to protect the interest of small investors better. Also, since SEBI has a sound experience in handling securities derivative market over the many years now and has a larger man-power, it should be able to plug the loop-holes in the system and draw out a stronger regulatory framework for commodity exchanges. Commodity market participants hope that the move will help introduction of new products such as options and commodity indices and the exchange platform will be also opened to new participants such as banks and mutual funds. All this should, however, take time. Amendments to the various Acts apart, the new regulator’s first job will be to establish a pan-India spot market for commodities. The commodity market regulator Forward Markets Commission has given permission to the four national commodity exchanges to remain open on Saturday when the Budget is announced. The three national exchanges – MCX, NCDEX and NMCE – will remain be open for trading between 10 am and 5 pm. After considering the request from market participants and some of the national commodity exchanges requesting to allow the commodity exchanges to remain open for trading on February 28, the Commission has decided to allow all commodity exchanges to remain open for trading between 10 am and 5 pm on Saturday, said FMC in a statement on Wednesday. Earlier, SEBI had given permission to stock exchanges to allow trading on Saturday. Amid a sharp decline in turnover of the commodity exchanges, the Forward Markets Commission has come out with a revised policy to allow traders to take higher position in commodities traded on the exchanges to improve the depth and liquidity in the market. To promote transparency and prevent price manipulation in the market, the Forward Markets Commission (FMC) has also directed bourses to disclose the open position limit of top 10 trading clients, including hedgers, on their Web site. The revised norms put out on October 20 have come into effect immediately. ‘Open position limit’ refers to the highest number of futures contract that an investor is allowed to hold on one underlying commodity. According to the latest circular, FMC has come out with a new formula, based on which the gross position limit in agricultural commodities is capped at 50 per cent of the estimated production and imports for all exchanges. For brokers, the position limit has been doubled and will be 10 times of the client’s level position limit or 20 per cent of the market wide open interest, whichever is higher. For clients, the position limit will be based on the numerical position limits as decided from time to time or five per cent of the market wide open interest, whichever is higher. For the present, the numerical position limits as existing shall be continued, FMC said. For considering position limit, a client’s position will be taken in net (of the total) and that of a broker in gross. In order to promote hedging and arbitrage activities on exchanges, FMC said that it has decided to exempt the quantity of commodity that a hedger/seller, who has deposited early and pays in early, from the consideration of open position limits. Turnover of the commodity exchanges has declined by over 53 per cent to Rs. 31.82 lakh crore till October 15 this fiscal from Rs. 68.42 lakh crore in the year-ago. The turnover has been affected due to imposition of the commodity transaction tax from July 2013 and the Rs. 5,600 crore payment scam at the spot exchange NSEL. Hong Kong Exchanges and Clearing Limited (HKEx) will introduce its first Asia commodities contracts – London Aluminium Mini Futures, London Zinc Mini Futures and London Copper Mini Futures – for trading on Monday, 1 December 2014, subject to market readiness. The three mini metals contracts will trade in Renminbi (RMB). Other contract details, including the hours of the after-hours trading session, are shown in the tables below. HKEx decided to postpone the introduction of its US-dollar traded API 8 Thermal Coal Futures so it could focus on the launch of the mini metals contracts. HKEx remains committed to the coal contract and will announce its rollout date later. "This is another big step in our commodities strategy following our launch of self-clearing at the London Metal Exchange (LME) last month and our announcement last month of new LME fees, starting 1 January 2015, to support our ongoing investment in the LME," said HKEx Chief Executive Charles Li. "The new contracts will provide currency convenience, they will expand our range of RMB products, and they will further strengthen Hong Kong's position as the leading offshore RMB centre," Mr Li added. "These new contracts are part of our fixed income, currency and commodities strategy in Asia and our efforts to expand our Hong Kong markets into new asset classes," said Romnesh Lamba, HKEx’s Co-head of Global Markets. "RMB traded mini-contracts traded at HKEx, referenced to the LME global reference price, further develops our coverage for global metals traders and enhances liquidity," said HKEx’s Co-head of Global Markets and LME Chief Executive Garry Jones. The new mini metals contracts will be traded on Hong Kong Futures Exchange Limited (HKFE) and cleared through HKFE Clearing Corporation Limited. They are all monthly cash-settled futures contracts. 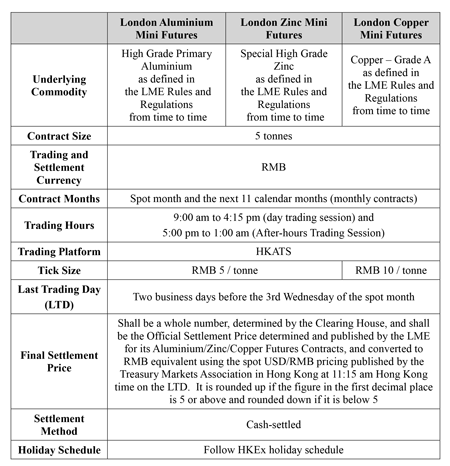 The trading hours for the new London Aluminium/ Zinc/ Copper Mini Futures will be 9:00 am to 4:15 pm and 5:00 pm to 1:00 am the next morning Hong Kong time Monday to Friday, excluding the public holidays on HKEx's trading calendar. Pre-holiday arrangements will also be the same as those for existing contracts traded on HKFE. Key contract specifications are shown in the table below. HKEx is seeking Liquidity Providers for the new contracts and there are two Active Trader programmes with fee rebates (please see this circular for details). HKEx is also aiming to introduce a scheme to encourage LME Members to become HKFE Participants and vice versa. Subject to regulatory approval, there will be a low-cost way for LME Members and related entities that meet certain requirements to become HKFE Participants, and for qualified HKFE Participants and related entities to become LME Members. The London Metal Exchange, Hong Kong Futures Exchange Limited and HKFE Clearing Corporation Limited are wholly-owned member companies of HKEx. The London Metal Exchange is hiking transaction fees charged to members and users by an average of 34% for the first time since Hong Kong Exchanges & Clearing Ltd. acquired it for $2.2 billion in 2012. The new tariff, to be charged in U.S. dollars, seeks to help fund investment in the exchange and it will come into effect on Jan. 1, Chief Executive Garry Jones said in a statement. The move come as the LME's owner needs to invest in upgrading its system. “The LME, as was just three years ago, would not survive in today’s environment,” said at a press conference in London. The company said the new fee structure simplifies and levels out the transaction fees across the LME user base. Charles Li, the HKEx chief executive, said the fees hike would benefit members as higher exchange revenues fed through to better trading systems and a broader range of products. The exchange will charge its ring members 50 cents for one side of the contract in trading and clearing fees, up from 38 cents now, according to this table. Members who lack the right to trade on the floor will pay 90 cents, compared with 58 cents. Short-dated client carry trades will continue to attract a discount in the new fee schedule, the LME said. Members’ clients will pay 50 cents for short-term carries compared with 38 cents now, while other trades will cost 90 cents compared with 65 cents now, according to the LME. Member-to-member give-up trades will cost 50 cents, down from 58 cents now. 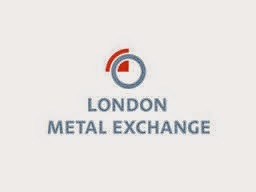 The London Metal Exchange (LME) hiked trading fees for 2015 by 34 percent on Monday as its owner moved to boost profit from the world's biggest industrial metals market after a costly takeover. The 137-year-old LME had warned of hefty increases after years of operating as a member-owned market that kept a lid on trading fees, but the average rise turned out to be significantly less than some members had feared. "all-in" transaction fee in a single currency, the U.S. dollar. The hikes are another major step by the LME's owner, Hong Kong Exchanges and Clearing Ltd, to increase revenue after splashing out $2.2 billion to buy the exchange, a price that analysts said was very expensive. "The new LME tariff is competitive and ensures we can continue focusing on innovation and offering users the highest levels of service," said Garry Jones, LME chief executive and HKEx co-head of global markets. HKEx has invested hundreds of millions of pounds into the LME to modernise it, make it more competitive and due to increased regulation, Jones told a news conference. "The LME as was, just three years ago, would not survive in today's environment." "ring" trading after the LME said in June it would keep open-outcry trading, bucking a trend by most other markets to shift to all-electronic operations. The LME said clearing fees will remain unchanged, a week after the exchange launched it own clearing house, LME Clear. "Members understand that we will have a much better exchange providing much higher quality of services, product capability, regional expansion, currency flexibility, and much greater Asian and China participation," HKEx Chief Executive Charles Li told a news briefing in Hong Kong. Jones said the LME has moved forward in its long-standing goal of opening warehouses in top metals consumer China. The LME has sought for many years to set up delivery networks in China to grow its business, but Chinese regulators have not approved the LME opening metals depots there. "There's considerable progress and discussions going on all the time, we had some in fact the last few weeks," Jones said. The LME would like to work with the Shanghai Exchange, which also trades base metals such as copper and aluminium, and already has a warehouse network, he added. The LME, in setting its new fees, likely kept a close eye on remaining competitive with the CME Group . Although the LME still controls the vast majority of industrial metals futures trading, its U.S. rival has been carving out a growing share of the global copper market with its Comex contract and in May launched a new aluminium contract in a big push to grab some of London's $51 billion market for the metal. A fund manager had told Reuters that the fees he was charged for trading on the CME were about 73 percent higher than the old LME fees. "It's only logical now that you have to increase fees to be more in line with other exchanges that are for profit. It's still very competitive," said Robin Bhar, analyst at Societe Generale in London. Before the LME's sale in December 2012, it was owned by the banks and brokers that used it and therefore trading fees were kept very low for members. HKEx promised when it was bidding for the LME that it would freeze the low fees during an initial period, but the moratorium expires in January. 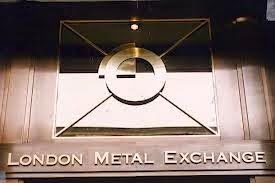 The London Metal Exchange (LME), looking to boost profits, has scope for a significant hike to its trading fees whilst remaining competitive with arch U.S. rival CME Group . The LME had warned of hefty increases when it publishes its new fees schedule for 2015 on Monday, but has kept the details under wraps. The move will be another key step by the LME's owner, Hong Kong Exchanges and Clearing Ltd., to wring profits from its pricey $2.2 billion takeover of the world's biggest industrial metals market. HKEx promised when it was bidding for the LME that it would freeze the low fees during an initial period, but the moratorium will expire in January. Executives have been preparing the ground for a hefty increase, including HKEx Chief Executive Charles Li at a results presentation last month. "The market knows and I don't think the market is going to be that happy about it," he said. "I can't tell you whether that's going to be a 20 percent increase, 30 percent increase or 50 percent increase..."
The LME, in setting the fees, is likely to keep a close eye on remaining competitive with the CME. But due to the legacy of low fees, the LME has broad scope to boost revenue from that area and still remain competitive. Exchange fee schedules are complicated, but one fund manager said the gap was huge between the fees he is charged for trading metals on the two rival markets. Comex trading fees come in at an equivalent 73 percent higher than the LME, not including clearing fees, he said. That would mean that the LME could increase fees by 50 percent and remain cheaper than its U.S. rival. The LME declined to comment on how its fees compare with the CME. Brokers say any fee hike will be difficult since the cost of trading has already soared due to additional costs from new regulations. "This is a tough business to remain in," said an executive at a major LME broker, who said a rise in margin requirements and clearing costs was already hurting profits. An executive at a major bank that trades commodities said he reckoned that total costs for trading on the LME could triple. Initial grumbling would be expected, but users would have to accept the hikes, said analyst Robin Bhar at Societe Generale. "At the end of the day people have to trade, consumers and producers have to hedge, so they will probably have to swallow those charges," he said. "If the LME is still seen as competitive against other exchanges, then one could argue that they've been too low in the past." Commodity market regulator says execution date not clear. Commodity market regulator Forward Markets Commission has sought more clarity from MCX on the Financial Technologies and Kotak Mahindra Bank deal before it can allow the exchange to launch new contracts for the next calendar year. In a response to an MCX letter seeking permission to launch fresh contracts, the market regulator had said the share purchase agreement signed between Financial Technologies and Kotak Mahindra Bank appears to be conditional. 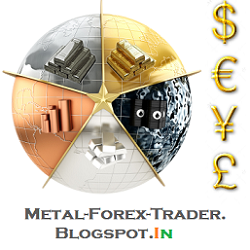 “The execution of the agreement depends on revision of the technology agreement between MCX and FTIL. The deal lacks clarity with regard to the exact date of its execution and consequently does not inspire adequate confidence and assurance with regard to the proposed acquisition of a 15 per cent stake in MCX,” said FMC. “Therefore the exchange should clarify as to exactly by what date the disinvestment of the remaining 15 per cent shall be completed,” it said. Last month, the FMC had cleared the FTIL-Kotak Bank deal but has now sought more clarity so that it can lift the ban on the launch of new contracts by the exchange. The regulator has also impressed upon the exchange that it has to take corrective measures based on the findings of the Oversight Committee and PricewaterhouseCoopers before permission is sought to launch new contracts. In response to the FMC’s observations, MCX has clarified that it has written to FTIL seeking the exact date by which the Kotak Bank deal can be executed. The findings of the Oversight Committee have been addressed and then conveyed to the FMC. The findings will be reviewed by the audit committee this week, said MCX. On PwC’s findings, the exchange said it has taken action against the erring employees named in the report by filing a police case. The latest status will be reviewed by the oversight committee within a week and updated to FMC, it said. “We are hopeful that the issues raised by FMC will be addressed by September 30 and FMC approval for the new contract launch will be received,” said MCX. Based on the unprecedented collapse in trading volumes of cash products over the past 6 years, one thing has become clear: retail, and increasingly, institutional investors and traders are gone, probably for ever and certainly until the Fed's market-distorting central planning ends. However, one entity appears to have taken the place of conventional equity traders: central banks. Courtesy of an observation by Nanex's Eric Hunsader, we now know, with certainty and beyond merely speculation by tinfoil fringe blogs, that central banks around the world trade (and by "trade" we meanbuy) S&P 500 futures such as the E-mini, in both futures and option form, as well as full size, and micro versions, in addition to the well-known central bank trading in Interest Rates, TSY and FX products. In fact, central banks are such active traders, that the CME Globex has its own "Central Bank Incentive Program", designed to "incentivize" central banks to provide market liquidity, i.e., limit orders, by paying them (!) tiny rebates on every trade. Because central banks can't just print whatever money they need, apparently they need the CME to pay them to trade. So the next time you sell some E-minis, ask yourself: is the ECB on the other side? Or the BOE? Or, perhaps, you are selling S&P 500 futures to Kuroda. Who knows: there is no paper trail anywhere, although a FOIA request and/or the discovery from a lawsuit, class action or otherwise, of the CME's central bank incentive program would likely yield some stunning results. But the only place where "discovery" would be by far the most interesting, is for the CME to disclose just which central banks provide, or take such as at 8am every morning when one market sell order takes out the entire bid staack, the most liquidity when it comes to central bank trades in "Metals Futures Contracts (Physicals)." Because imagine the shock and awe if and when it is uncovered that the biggest active manipulators of gold are not some junior-level traders out of Britain's criminal bank cartel, but the central banks themselves. Finally, while the list above deals with international central banks "providing" ES liquidity, those wondering why the NY Fed is not on the list and just how the Fed's active trading team participates in the market without breaking the law, we have just one word: Citadel. The Multi Commodity Exchange (MCX) registered its highest market share of 83 per cent in the first fortnight of August. Of the total turnover of ₹2,34,756 crore logged by the five online commodity exchanges in the first fortnight of August, MCX garnered a turnover of ₹1,95,206 crore. The exchange witnessed its highest physical gold delivery of 1,110 kg worth ₹300 crore in its August contract. MCX is inching closer to its peak market share of 86 per cent registered in the September quarter last year before the Government levied a commodity transaction tax on trades executed on exchanges. That apart, the settlement default of ₹5,600 crore by the National Spot Exchange, a group company of the MCX, hit investor sentiment and the turnover on the commodity exchanges fell sharply. 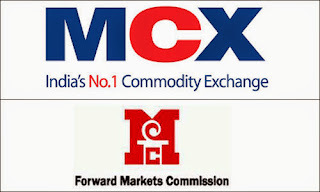 Following the scam, commodity market regulator Forward Markets Commission banned the MCX from launching new contracts till its promoter Financial Technologies divested its entire 26 per cent stake. The turnover of the five commodity exchanges in July was down 38 per cent at ₹5,51,916 crore (₹8,83,766 crore). Jayant Manglik, President, Religare Securities, said the confidence of participants in the commodity markets and its institutions appear to be returning. The continuous effort of the MCX management to reassure investors during the trough phase was also a key factor, he added. The London Metal Exchange (LME) and Russian aluminium giant Rusal (0486.HK) sparred in court on Tuesday as the LME sought to overturn a court ruling and allow it to implement tough warehousing rules to cut backlogs. The dispute is over whether the LME, the world's oldest and biggest market for industrial metals, should have to launch a fresh consultation after a March court ruling labelled its original process as "unfair and unlawful". The proposed warehouse rules - designed to speed up deliveries of metal from depots in the LME's global network - were not at issue in the original ruling. "The LME makes great play of the fact that the judge did not hold that the proposal in itself was irrational," Rusal's legal team led by Monica Carss-Frisk said in written arguments on the first of two days of hearings before a panel of three Appeal Court judges. "That is not, however, the test. The test is one of fairness." Rusal argued that the original judge was right to say that the LME was unfair by excluding the option of capping warehouse rents in its consultation. Tuesday's arguments were heavy with legal precedents about the duties of public organisations. The LME reforms, originally due to take force in April, aimed to make owners of warehouses deliver out at least as much metal as they take in. Industrial buyers of aluminium, used in transport and to make beverage cans, have to wait up to two years to get delivery of metal from some LME warehouses and the new rules aimed to cut the queues down to a maximum of 50 days. The exchange, owned by Hong Kong Exchanges and Clearing Ltd (0388.HK), told Tuesday's hearing that Rusal had not brought up the issue of rental caps at warehouses during the consultation process. Michael Beloff, acting for the LME, said that the Russian company was using that issue to stop the reforms because it was worried that they would depress prices. Benchmark aluminium prices CMAL3 on the LME have slid 30 percent since touching a peak in May 2011 due to overproduction and surpluses. Rusal said in a separate briefing document that due to changes in the supply-demand balance, the LME's proposed changes would have scant impact on warehouse queues. "Such market conditions demonstrate that the rule would have little or no impact at all, rendering the rule largely irrelevant and ineffective in the current circumstances," the Rusal document said. Rusal says the aluminium market has moved into a substantial deficit due to cutbacks by producers after years of surpluses. A ruling in the Appeal Court could come as early as the conclusion of the hearing on Wednesday, but the panel could also decide to reserve judgment to take time to consider the arguments, according to the court's website. Multi Commodity Exchange has breached the 60-day deadline set by the commodity market regulator Forward Markets Commission for appointing a head to lead the exchange. The Commission elevated Parveen Kumar Singhal, Executive Vice-President of MCX, as interim CEO on May 23 and gave two months’ time for the board to appoint a new Managing Director. Last Friday, MCX cancelled the interview call given to 15 candidates. The interview for shortlisted candidates was called off abruptly after Kotak Bank acquired significant minority stake of 15 per cent in the exchange for ₹450 crore. 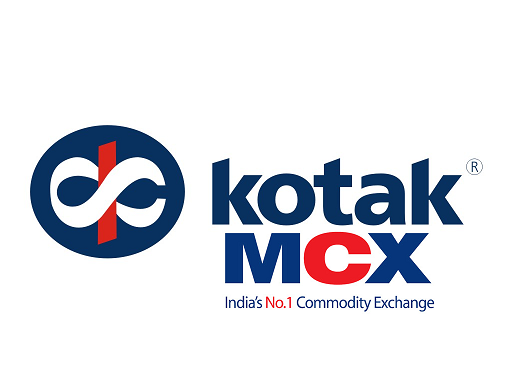 The Kotak Group, which already has a commodity exchange under its belt, has made it clear that it will not claim a board seat in MCX. The Managing Director and CEO’s post at the exchange has been vacant for over two months since Manoj Vaish put in his papers, just three months after assuming office. It is reliably learnt that the next meeting of the Board is slated for August 13 to consider the financial results of the company. The exchange is also fast running out of time to get its promoter Financial Technologies reduce its stake to two per cent. After the stake sale to Kotak Bank, Financial Technologies is left with five per cent stake which needs to be offloaded by August end. Since the exchange trades contracts three to four months in advance, the promoters have to offload their stake by August end in order to get the FMC’s approval for launching next calendar year contracts. MCX has to come up with the January contracts in September. The commodity market regulator had declared Financial Technologies and its promoter Jignesh Shah as not ‘fit and proper’ to own stake in commodity exchange after one of its group companies National Spot Exchange defaulted on ₹5,600 crore trade settlement. Financial Technologies was directed to reduce its stake to two per cent. MCX surged as much as 9.3 per cent in trade on Monday to hit its fresh 52-week high of Rs 860, after the private sector lender Kotak Mahindra Bank BSE 1.90 % agreed to buy a 15 per cent stake in the company for Rs 459 crore. At 09:40 am; MCX was trading 6 per cent higher at Rs 831.85. It hit a low of Rs 735 and a 52-week high of Rs 860 in trade today. Financial Technologies BSE 5.46 % was trading 4.7 per cent higher at Rs 280.30 and Kotak Mahindra Bank was up 2.8 per cent to Rs 961.80. The statement said the bank had entered into a share purchase agreement for the deal that is subject to certain conditions and regulatory approvals. "We have agreed to take a significant minority stake in MCX. We are excited by the potential presented by the financial infrastructure space in the country and believe that an investment in MCX, with its significant franchise, will create long-term value," executive vice-chairman and managing director Uday Kotak said in a statement. Market sources said Kotak had to pay a slightly higher price than it originally wanted after Rakesh Jhunjhunwala recently bought MCX shares, setting a benchmark. Kotak, whose own commex failed to take off, is betting on the passage of Forward Contract (Regulation) Act, or FCRA, which will allow options and index futures products that could raise volumes higher than than stock exchanges. Shares of software solutions provider FTIL had risen in recent days on expectations the Kotak Group would buy the promoter's stake but had fallen 3.6 per cent to Rs 267.35 on Friday at the BSE. The Kotak Group has linkages with the commodities sector through its various ventures Kotak Bank through lending activity to the agriculture sector or through its having promoted commodity futures bourse ACE, in which it has 40 per cent. CME Group is lowering margins for gold, silver and copper futures on the Comex division of the New York Mercantile Exchange. Margins act as collateral on futures trades. CME Group also changed margins for electricity, equity-index, ethanol, natural gas futures and a number of other products. In the case of the main 100-ounce gold-futures contract, CME Group trimmed the “initial” margin for new speculative trades to $5,940 from $6,600. The “maintenance” margin for existing speculative trades, plus all hedge positions, was cut to $5,400 from $6,000. For the 5,000-ounce silver contract, CME Group lowered the initial speculative margin to $8,250 from $9,075. The margin requirement for maintenance speculative positions, plus all hedge trades, was lowered to $7,500 from $8,250. For the Comex copper contract, the initial speculative margin was cut to $2,970 from $3,300. The margin for maintenance speculative and all hedge positions was reduced to $2,700 from $3,000. CME Group also lowered the margins for the smaller-sized gold, silver and copper products, as well as aluminum and iron ore.
Dubai Gold and Commodities Exchange (DGCX) has announced the re-listing of its Indian Rupee Options contract. The contract, which was temporarily suspended in 2013 to facilitate migration to a new trading infrastructure, will restart trading on July 18. DGCX's new advanced trading infrastructure, built in partnership with leading global financial technology provider Cinnober, will support trading in the options contract. The new EOS platform provides the Exchange the ability to support high volumes in innovative products such as Indian Rupee options. Gary Anderson, CEO of Dubai Gold and Commodities Exchange said: "The re-listing of the Indian Rupee options contract further widens opportunities to trade Emerging Market contracts on the Exchange. The contract will build on the success of DGCX's Indian product offering, which has seen significant growth in trading over the past year. This year, the DGCX Indian Rupee futures contract increased its share of the total value of Indian Rupee futures traded globally to 40%. The EOS platform, will support the introduction of a range of innovative contracts including the upcoming spot gold contract, as well as new emerging market, equity and agricultural products. 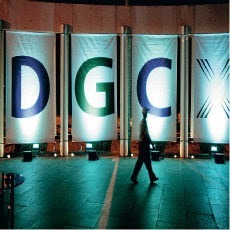 DGCX is the only exchange outside India to offer trading in both futures and options in the Indian Rupee. Rupee options contracts launched by Indian exchanges have proven to be highly successful, which augurs well for the success of the DGCX Rupee options contract. Each DGCX Indian Rupee Options contract represents one Indian Rupee Futures contract of 2 million Rupees. Prices are quoted in US Cents per 100 Indian Rupees, with a minimum premium fluctuation of 0.000001 US Dollars per Rupee ($2 per contract). The Indian Rupee Options contract can be traded Monday through Friday from 7.00 AM to 11.30 PM UAE time. 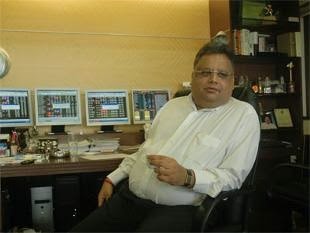 Billionaire investor Rakesh Jhunjhunwala has bought a 1.96% stake in India's largest and only listed commodity bourse Multi Commodity Exchange of India (MCX) from its promoter Financial Technologies(FTIL) in a block deal for Rs 66 crore. The deal values the exchange at around Rs 3,370 crore. After Tuesday's transaction on the NSE - involving 10 lakh shares having been transferred to Jhunjhunwala at Rs 664 apiece - FTIL's stake in the bourse has declined to 24%. Jhunjhunwala, said market analysts, made a good buy by having added a company that was the leader in the commodity futures market comprising five national level and 15 regional bourses. The 'Big Bull's' purchase energised the MCX share, which rose 4.2% to hit a year's closing high of Rs 679.7 on Tuesday. Some 13.03 lakh shares changed hands against the 2-week average of 4.06 lakh shares. MCX enjoys over 80% market share among commodity futures exchanges, which posted a combined turnover of Rs 101.4 lakh crore in FY14. Jhunjhunwala owns stakes in over 40 listed companies such as Crisil, Lupin, Titan Industries, Escorts, DB Realty, VIP Industries, Rallis Indiaand Viceroy Hotels. The total market value of his portfolio was around Rs 6,700 crore on Tuesday, ETIG database shows. His purchase of a stake in MCX comes at a time when its founder and promoter FTIL has been declared unfit to hold shares in the bourse because of its alleged role in a Rs 5,600-crore scam at its subsidiary National Spot Exchange Ltd (NSEL). FTIL has challenged the regulatory order having declared it not fit and proper in the Bombay High Court. Months ago, it began a divestment process of 24% of 26% of its stake in MCX without prejudice to its legal rights. 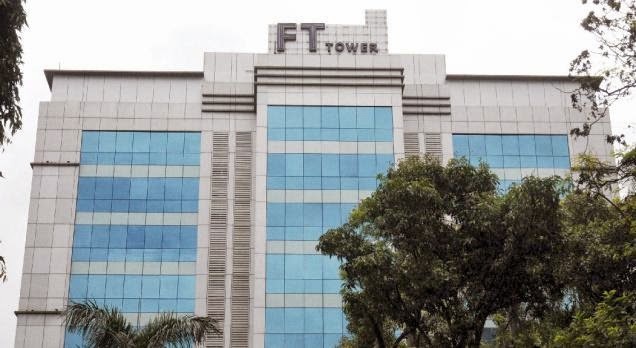 The Kotak Group, Reliance Capital and BSE, among others, put in non-binding bids for buying FTIL's stake, but no final offer was reportedly made. Amid myriad changes post the scam last July, MCX received shareholder approval to amend its articles of association that give it the power to transfer an unfit shareholder's stake into an escrow account and sell the same on its behalf if such a stakeholder fails to reduce its equity. The Government is considering empowering commodity market regulator Forward Market Commission, with search and seizure powers, similar to that of SEBI. This will be part of proposed Forward Contract Regulation Act (FCRA) Amendment Bill. “The proposal related to power for search and seizure is based on the suggestions given by the FMC. It is expected to be part of the Bill which is being redrafted,” a senior Government official said. The Bill, once approved by the Cabinet, will be introduced in Parliament. The regulator was asked to work on the new Bill after which it sent its suggestions to the Finance Ministry late last week. Though the Bill was introduced in the previous Lok Sabha, it lapsed as the UPA Government failed to get it passed. The earlier Bill was tabled by the Consumer Affairs Ministry, but now it will be introduced by the Finance Ministry as FMC and Commodity trading come under it. The revised draft will be silent on regulating spot exchanges. FMC is empowered to regulate futures trading. However, last year, the Government empowered the FMC to supervise settlement of all outstanding one day forward contracts at the National Spot Exchange Ltd (NSEL) and also authorised it to issue any order or direction in the wake of Rs. 5,600-crore scam. Earlier, there were three spot exchanges, NSEL, N Spot and National Multi Commodity Exchange. But, now only N Spot is functional. The Bill aims to make provision for investigation, enforcement and penalty in case of contravention of the provisions of the Act. It also aims to give fresh powers to FMC such as levying fees and registration of intermediaries. There is also talk about allowing banks and foreign institutional investors in commodity trading. This will help deepen the market. The Bill also has provision for corporatisation and demutualisation of the existing commodities exchanges and setting up of a separate Clearing Corporation. Beside, empowerment, enactment of the Bill will facilitate introduction of new trading product such as option. Option is a derivative product, like futures, but with some difference. 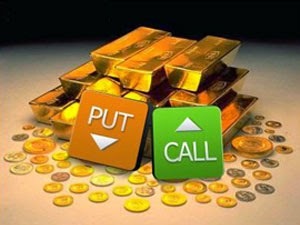 Option gives right, but not the obligation, to buy or sell a specific commodity at a certain price, while future prescribes obligation for the buyer to buy and for seller to sell at a specific future date.